Special Thanks to Louis Pang and Zabrina who snap the images of my WPPI 16×20 Year 2010 photo competition submission results on the recent exhibition in Las Vegas, USA.. cant wait to receive the details results of all my WPPI submission. 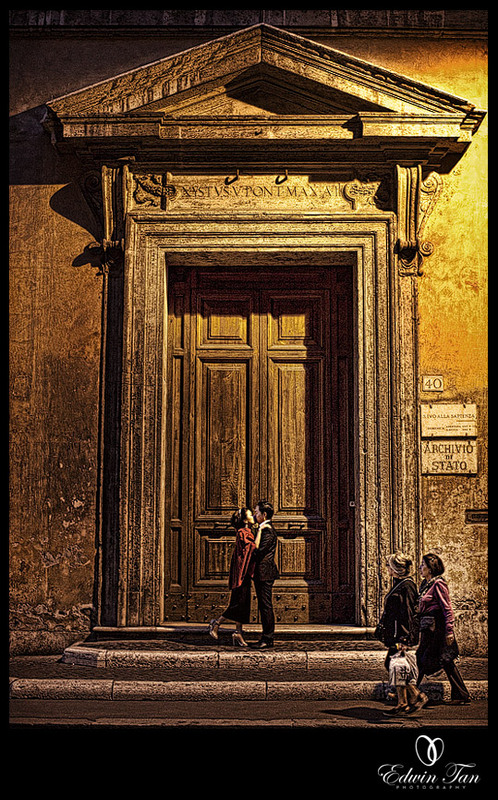 So great and happy to get the black label (scored 88 points) for the below image of William and Qurese for their Rome. Italy Prewedding session and of course J Goh and Rebecca ‘s prewedding image at London. 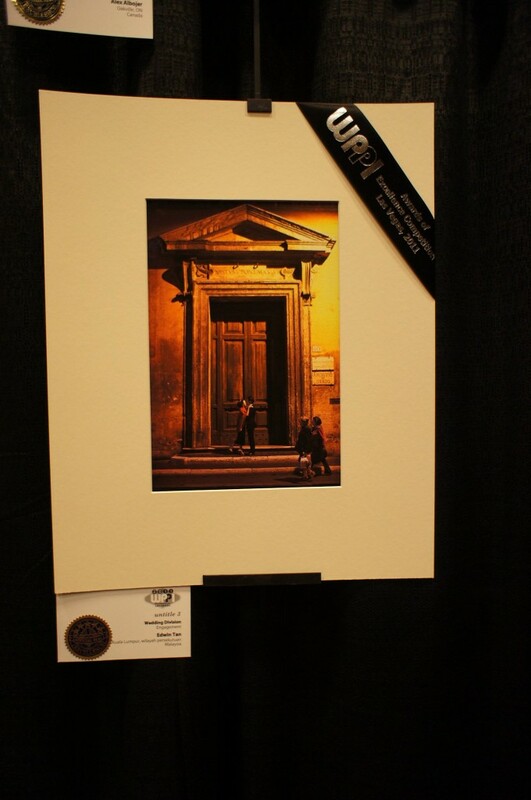 Congrats to Louis ,CM, Zabrina , Nick and other photographers friends too who achieve great results in WPPI competition !! Nicholas Leong - Time to start giving your images title 😛 Congrats boss! Mimi Lossy - Congrats Edwin!!!!! Zabrina - Congratulations Edwin!! I saw this print with the black label and I couldn’t resist to snap a pic of it to show you. You obvious put a lot of efforts into mastering your craft and it is an honor to be on the same wall as you. Let’s keep on getting better and keep each other accountable!! Valve - Congratulation Edwin. But for the first entry the one is shown is so much contrast and sharp while the one you submitted) is more natural. Am i right ?